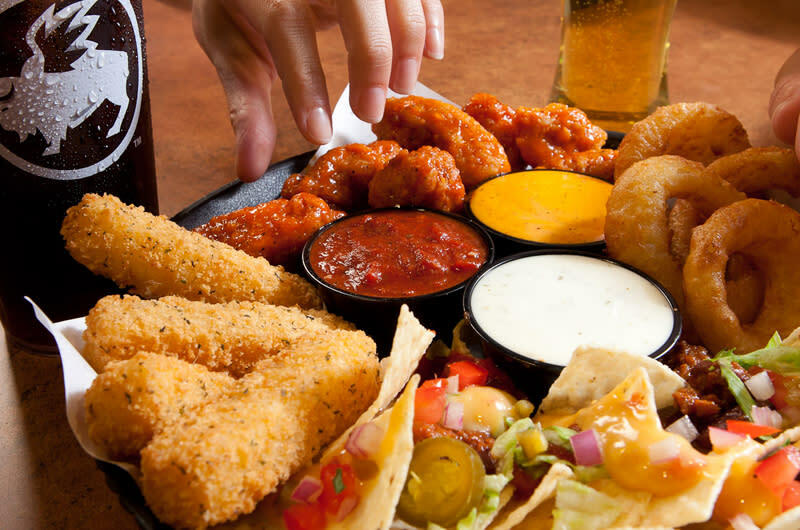 Although specializing in wings, Buffalo Wild Wings Grill and Bar offers a variety of dishes from which to choose, including burgers, sandwiches, wraps, flatbreads and salads. Come watch your favorite team play, meet with friends or just enjoy a meal in a bustling establishment. Want to watch the game in the comfort of your own home? Just go on-line at Buffalo Wild Wings and order your favorite wings or menu items. It won't take any time to pick them up at this convenient location off IH 635.